It has been quite sometime since I wrote a status update, and can’t believe we are almost into September. My studies pretty much stopped cold this past May. My wife, and myself both lost our father’s due to cardiac arrest within two months of each other. Both our dad’s were in their early 60’s, and had clean bill’s of health. So both are families are still really in shock. We lost my dad just a little over a month ago so it is still fresh in my mind. 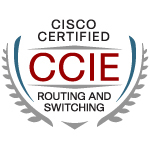 With all that being said it has been impossible to dive into another CCIE track at the moment. Still not sure if SP, or Security will be the way forward for me. I am looking forward to seeing how INE, and IPexpert are going to go about updating their security material.